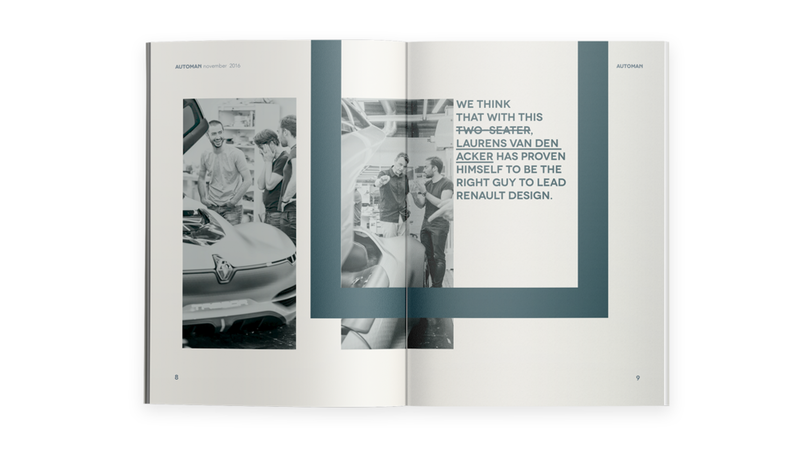 During my Master Course in IED Firenze i was developing a new magazine "AUTOMAN" focused on car industry and new technology's. Main idea was to show how beautiful in details is car design and to focus on a new clear and elegant way of presentation of each area. 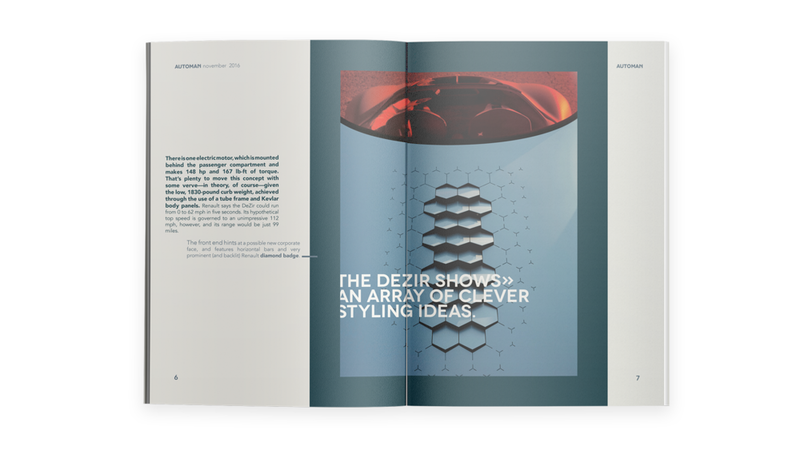 In the end i developed 4 magazine cover's, brand style, and 10 spreads to represent the mood, aesthetic language and also the flexibility of the brand language i had invented.